The truth is we don’t know. I can hear some of you screaming from the mountain tops already. Some in strong agreement, others in disdain, and yet others, perhaps, in rebuke. Why don’t we know? Because like many tech terms (I’m looking at you “strongly typed”), it does not have a consistent, universally accepted and clear definition. A series of instructions designed to automate a task or series of tasks that is typically executed dynamically by an interpreter in a virtual environment. My definition looks an awful lot the like aforementioned definitions, save for a few additional details. Firstly, unlike Oxford and Techopedia, I did not specify that the instructions need manifest as code written by a programming language. This is because scripting can be done without turing complete languages, which is generally considered the major qualifying criteria in categorizing a language as a programming language. For example, think of CRON jobs, macros, and bash / korn shell scripts. Secondly, you will notice that I also included the context of automation, which I believe to be the core idea and purpose in defining scripting as a unique term, separate from programming or some other term. Thirdly, I go further than the aforementioned dictionaries in including that scripts are typically executed A) dynamically, that is to say that they are not compiled, B) by an interpreter that handles said dynamic execution, and C) within a virtual environment, which I believe to be more aligned with the modern context of scripting. These are, however, what I consider to be the typical case and as such is not expressly required by my definition of scripting. The clearest distinction between compilation and interpretation is that interpretation always implies execution whereas compilation is simply translation without execution. “For example, it is uncommon to characterise Java as a scripting language because of its lengthy syntax and rules about which classes exist in which files, and it is not directly possible to execute Java interactively, because source files can only contain definitions that must be invoked externally by a host application or application launcher.“ . This is, however, as we will discover, not quite accurate anymore. Before JEP 330, the advent of Just-In-Time (JIT) compilation, Ahead-of-Time (AOT) compilation, the evolution of virtual machines, and the fact that java does not need to be translated into object code and executed immediately, are part of what made java tend to be considered as a compiled language as opposed to interpreted, in my opinion. The clearest distinction between compilation and interpretation is that interpretation always implies execution whereas compilation is simply translation without the need for execution. Both processes, do, however, involve translating an abstraction into a lesser abstraction. There is a camp of thought that believes the difference between interpreted and compiled code is somewhat meaningless — After all, If Python is scripting C then is C scripting assembler? Lastly, notice that I have made no statements regarding the length of a script. This is a sticky area. Scripts are generally thought of as short in nature, although scripts are rarely ever quantified by those referring to scripts as such and there is great danger in qualifying terms with other terms like “short” and “long” as they are intensely subjective and would only serve to make the definition of script all the more vague and inconsistent. These debates aside, it is not, however, necessary to accept my definition, nor to form an opinion on the meaningfulness (or lack thereof) of the differences between compilation and interpretation. Suffice that one understand the basic context of scripting and the commonalities shared by these definitions, one may happily follow along. My definition is provided as the basis of what I will mean when I will later refer to scripting. 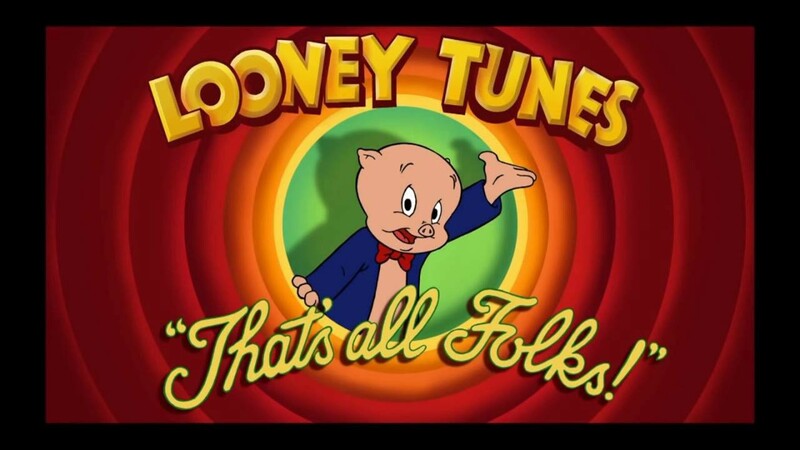 Now that that is over….the real stuff! Sounds to good to be true? Try a basic hello world! Note that, you will, of course, need a Java SE 11 runtime environment. 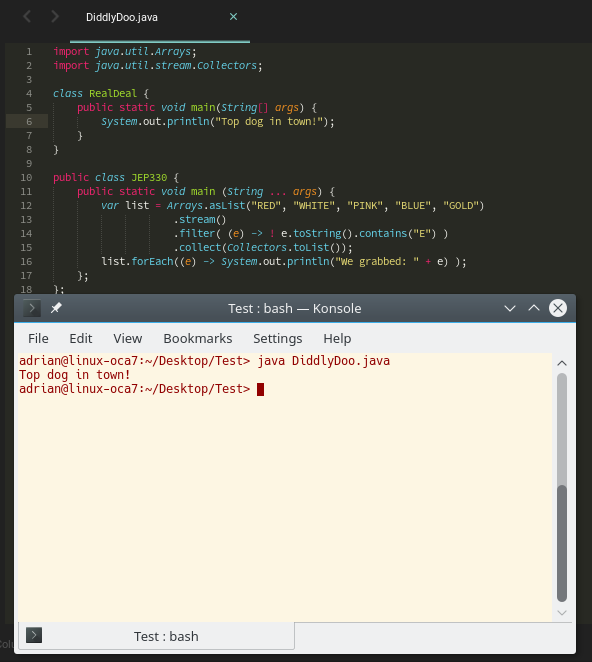 I will be using SUSE Linux and the openJDK EA Builds for this tutorial. This feature has been integrated into the JDK as of JDK 11 EA Build 17. You may grab it here. This is nice and all, but why did they add it?…. Well, here are some hypotheses. If you follow the openJDK mailing list as well as community discussion (blogs, twitter, etc.) you will notice that one of the biggest barriers to using java as an introductory language is the baggage associated with syntactic ceremony. This makes sense. After all — which “hello world” program is easier to explain? In a way, the early learning stage is somewhat recursive — we begin learning a concept within the context of another concept we don’t understand en route to understanding the originally unfamiliar surrounding context, and we often repeat this process. #Run in a python3 interpreter with the command "python"
What’s public? class? static? void? println? And so on….. When instructing beginners, you want to get right down to the bottom of what you are trying to explain, without having to be surrounded by unnecessary details. In a way, the early learning stage is somewhat recursive — we begin learning a concept within the context of another concept we don’t understand en route to understanding the originally unfamiliar surrounding context, and we often repeat this process. Having to explain these identifiers distracts from the goal of simply teaching an individual how to print text to the console. While this syntactic baggage has not been relieved us (and probably never will), the ceremony of manually compiling and running has. This allows java to behave more like an interpreted language, although we will soon see that this is not exactly the case. 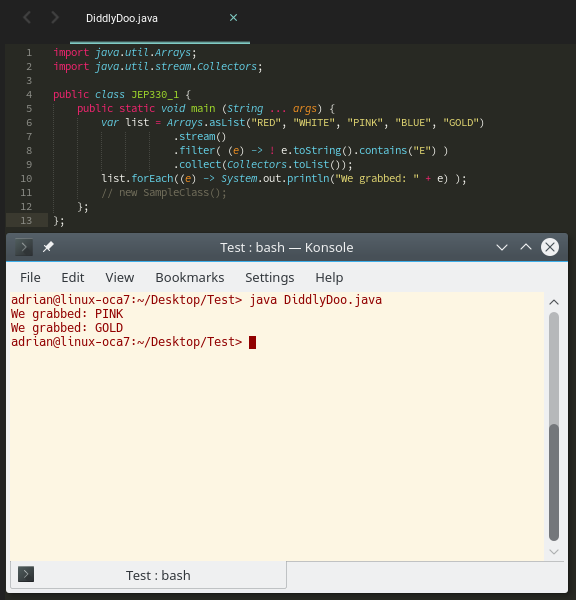 In my opinion, this is the second among recent efforts to try to maintain and grow the choice of java as an introductory language in education systems. For the first time, in many years, several institutions have switched away from java in favor of languages like python. It seems to me that the java camp is feeling the recent pressure of migration towards python. There are several reasons for these shifts by institutions, and a lot of it has to do with ease of explanation. You can read more about this, here. In addition, things like applets that were fancied by many academics have also gone out of style (deprecated) and JNLPs/Java WebStart have not picked up the traction that applets once had for educational use, so far. JEP 330 adds a fourth mode of execution to the java command line tool — the ability to execute a class from source code. 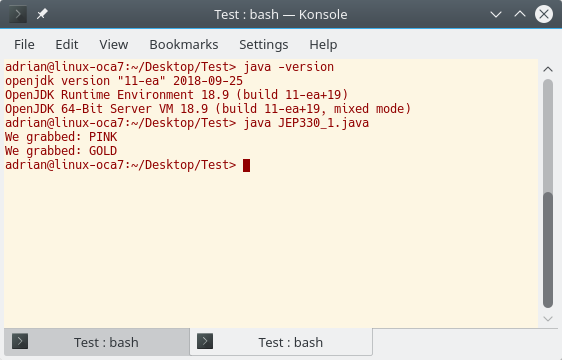 This execution mode is determined with the considerstion of the presence of the --source option and the result of parsing the first non-option argument passed to the java tool. In other words, java looks for the first <FileName>.java. Notice we said file name and not class name! (More on this later). The source option is considered in the context of terminal/console scripts, as we will later examine. We have seen the first already, now let us examine the second. Java 11 introduces support for scripting with traditional *nix shebang files. 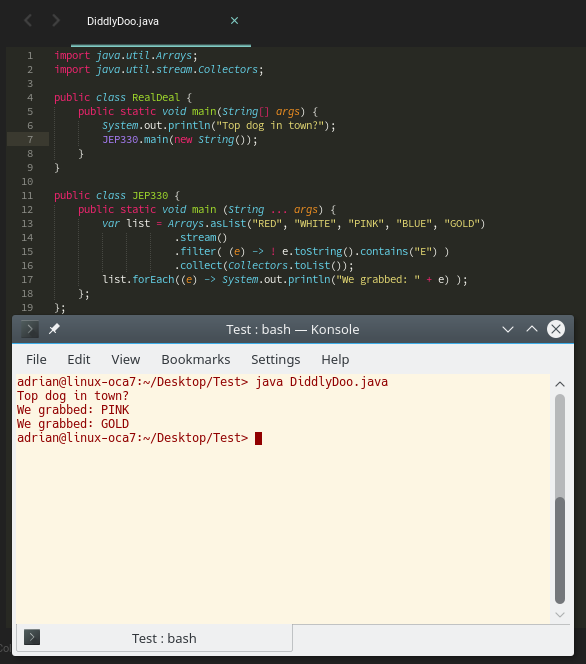 My environment for this example will be BASH running on openSUSE. First, some rules. Should you include VM options, you must specify the --source as the first option following the filename in the shebang file. If you need to specify the source version of the file (obvious). The shebang must be the first line of the file, of which the first two characters must strictly be ASCII character 0x23 followed by ASCII character 0x21 (#!). Files ending in .java are not permitted to include the #! shebang. java will split arguments for the --sourceoption should it contain whitespace. You may not override this by using quotes to preserve whitespace. The shebang line (the first line) is ignored when evaluating source code against the JLS. Now that we’ve got the rules out of the way, let’s dig into some syntax. 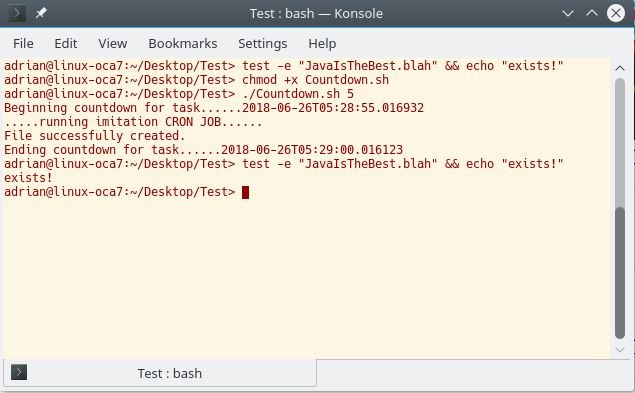 To invoke a bash script programmatically, we use the following syntax. Gotcha #1 — No outside classes, Single-File Programs only! This feature single-file programs, that means that you may not invoke other classes in files other than the file you are executing. Therefore if we added new SampleCustomClass(); , where SampleCustomClass is a class which we defined and is visible to our program, to the main() method of our original source file, execution would fail. Remember, the goal of this feature is not to replace javac. It is merely to make it more convenient, especially in the context of beginning programming to achieve the goal of “run this program” . This also eliminates the production of multiple classes in the root (or specified) directory. Gotcha #2 — No class files available for you! 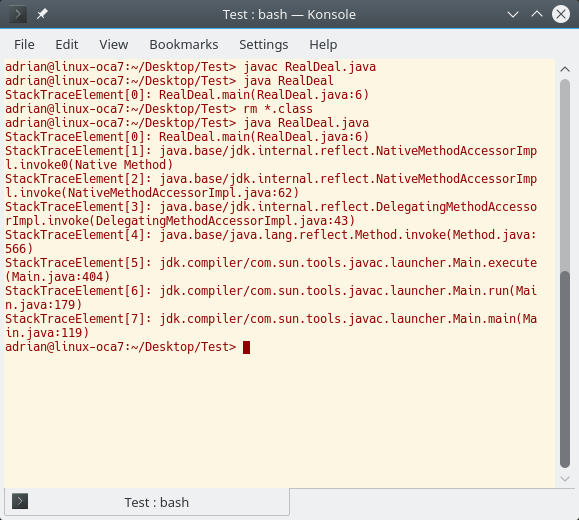 Notice that the invocation of the java tool in this manner does not provide any class files you can see in your working directory. That is because, “the effect is as if the source file is compiled into memory”, per JEP 3330. 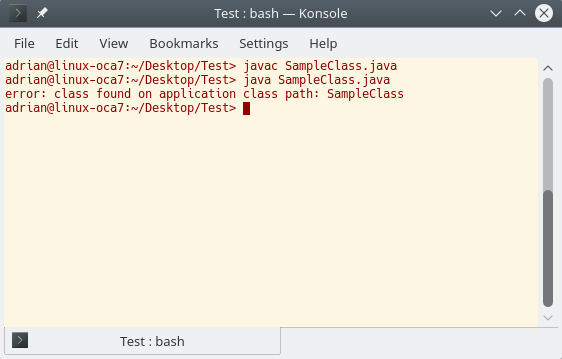 For a file, say SampleClass.java, should an existing class file, say, SampleClass.class exist, you may not invoke the java tool to run your source file in source-file mode. You can still, of course, invoke the class via the standard method, as you always have. Gotcha #4 — File name, not class name! Gotcha #5 — First class in the file, not matching file-class names! In tandem with Gotcha #4, the class loader no longer determines the class to be executed by matching file name and class name. The first class in the file is the one that will be run! While javac cares about the amount of public classes in a source file, java couldn’t care less! Notice that we know have two public classes and a totally irrelevant file name. Note that the standard command line options such as --source and most command line arguments that you pass to your application are still available for use in the fashion you are accustomed to. That is, preceding the file name. Command line argument files work in the expected fashion as well. The real kicker here is that arguments like -Werror or -nowarn that you can pass to javac, may not be passed (or recognized for that matter) by the java tool. Gotcha #8 — Beware of funky package conflicts!! Now notice these two files. See the problem? It’s a nasty one. 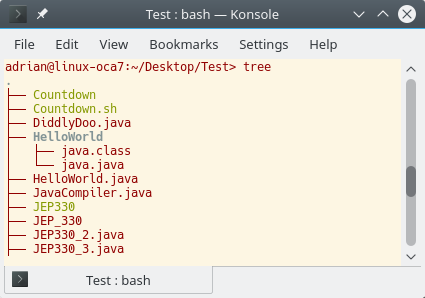 What happens when you run java HelloWorld.java? Is the first file run or the second file? The answer: The one in the current directory is run. 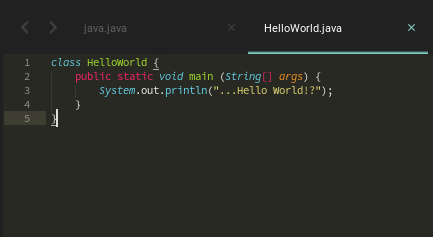 In other words, java is no longer referencing the class file in the HelloWorld package, instead, it will load the HelloWorld.java file from source. You were warned, beware! Using the classes available in the jdk.Compiler module, java will bootstrap the application in memory by invoking the javac compiler programmatically and using a custom classloader to run the class files persisted in memory in accordance with the aforementioned rules. In the event that an exception is thrown from your code, the exception is passed back to the launcher and displayed as if the launcher threw the exception itself. In other words, in the implementation, the stack trace leading up to your application’s source code is removed! This is to accommodate the more natural expectation of a stack trace that you would be used to had you compiled the class and ran it with the traditional method. To demonstrate this, look at the differences below. I will not list them all, after all, there is the JEP 330 docs for that, however I will list the ones that deviate from standard behavior or that we have not touched on earlier. Irrelevant options passed to the VM are ignored or rejected. Annotation processing is disabled. (Note: This does not appear to be implemented as of EA build +19 as I have got annotation processing work). Source files other than the single file are ignored and not visible in the classpath. The value passed with --source argument are passed on to the compiler for --releaseas well. The source file is enclosed in an unnamed module. Did you notice something? Did you notice that the ceremony of compiling was merely done in the background? Does this still qualify as real scripting? Is the difference that profound? Like most interpretations of vague terms, it will depend on who you ask. The only thing that is likely commonly agreed among minds is that Java has come closer to possessing scripting abilities.